The purpose of insurance is two-fold; firstly it offers the policy holder peace of mind, and secondly it offers the guarantee of compensation in the event of disaster. There are few places in which this peace of mind and guarantee would be more welcome than the home. Home and contents insurance is very much a necessity. If you are a homeowner, it is likely that your home is your biggest asset. As a result, it is essential that it is financially protected against the possibility of damage. Although premiums are on the rise, there is no doubt that, if some disaster were to occur, you would ultimately make a saving through paying for home insurance as opposed to paying for repairs yourself. The same theory applies to contents insurance; the idea is that the premiums should be less than you would spend replacing your possessions in the event of theft. As a policy holder you are, therefore, essentially gambling on damage or theft occurring. As has been mentioned, home and contents insurance premiums have risen. Some organisations are offering apparently very competitive rates; however, you should be aware that these tend to be cheap because they are full of exclusions. 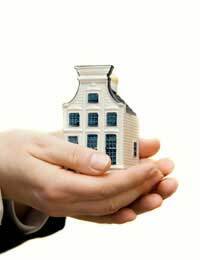 In order to qualify for a mortgage, you will be required to have ‘adequate’ home insurance. The definition of ‘adequate’ will vary depending on the individual lender, but will typically require you to be insured against flood, fire, storm, subsistence, vandalism and serious accidental damage. While being insured is in itself a necessity, it is also vital that you are not under-insured. A worryingly high proportion of homeowners are paying for insurance that is not sufficient for their needs. It is important to remember that sum for which you are insured should reflect not the market value of your property, but rather the total cost of rebuilding were it to be completely destroyed. In order to get an accurate idea of how much you should be insured for, you can get an assessment performed by a chartered surveyor. It is possible, however, to work this out yourself if you have some time and some aptitude for maths. There is a guide available for this purpose on the website of the Association of British Insurers. In contrast, contents insurance is not a prerequisite for a successful mortgage application. That is not to say, however, that it is any less important. Indeed, the risk of theft is potentially far greater than the risk of damage to the actual building, and so you should be certain that you are adequately covered for your possessions as well. In the case of contents insurance, working out the sum to be insured is not as difficult. This sum should reflect the value of everything that you would take with you if you were to move house. It should be noted that important caveats apply to every insurance policy, and it is vital that you are familiar with the specifics of your own. What may seem like unimportant small print could well make the difference between a valid claim and no claim at all. As such, it is important that you read the policy documents carefully before making a decision.